Since time immemorial, stories have been a medium of imparting knowledge, wisdom and learning that has been handed down from one generation to the next. 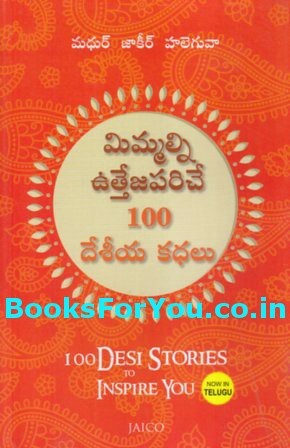 Written in simple language, 100 Desi Stories to Inspire You keeps the tradition of storytelling alive through a compilation of short stories that will appeal to a wide readership. The stories are invaluable life-lessons on situations we experience in our everyday living. From creativity and innovation to teamwork and leadership; from love and courage to maturity and confidence… the tales are thought-provoking and cover almost every human emotion. The presentation of the stories in this book is unique – each story ends by asking pertinent questions, making the reading experience interactive and introspective.